(Updated 5/13/16) The 2016 edition of Cannes Film Festival has officially begun. Running from May 11th to 22nd on the French Riviera, the festival highlights the best in international cinema. This year the program includes the ‘Women in Motion’ series of talks and awards. Started in 2015 through a partnership between the festival and Kering, ‘Women in Motion’ was created to highlight female talent in cinema and to open up a discourse on the issues faced by women in the film industry. This year’s talk series began on Thursday, May 12th at 11am, with a one-hour conversation and audience Q&A with director and Academy Award winning actress, Jodie Foster. Those who were not able to attend the event had the chance to take part in the Q&A segment by tweeting questions to #AskJodie. See a clip of Foster’s talk below. Foster directed the thriller, Money Monster, which screened yesterday, May 12th, in the ‘Out of Competition’ category at the festival. The movie stars Julia Roberts and George Clooney, who plays Lee Gates, a television financial advisor taken hostage by an angry viewer (Jack O’Connell) whose life savings were lost after following Gates’ money advice. Foster has channeled years of experience in Hollywood into a successful directing career. She was only 12 when she starred in the 1976 Palme d’Or winning film, Taxi Driver and later won an Oscar for her role in The Silence of the Lambs. Five years ago, in 2011, she made her Cannes directorial debut with her film, The Beaver. On Sunday, May 15th, at the Presidential Dinner, Kering and Cannes will present the ‘Women in Motion’ award. 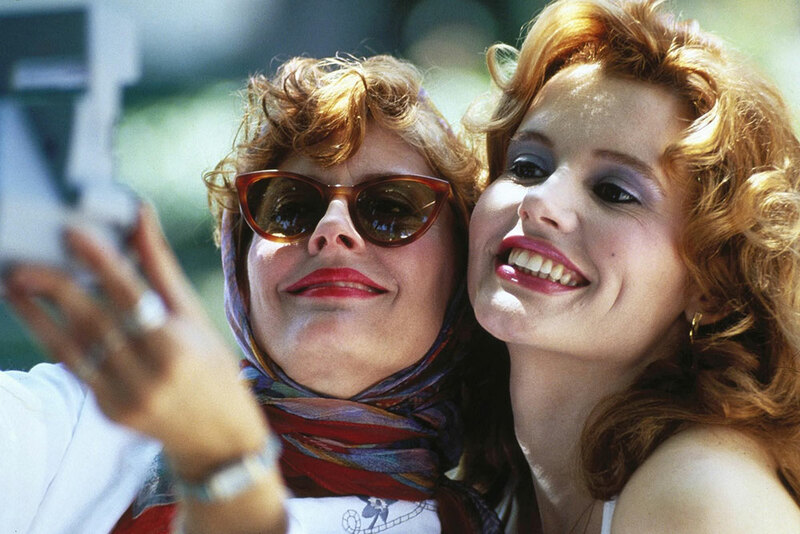 Activist actresses, Geena Davis and Susan Sarandon, will be the dual recipients of the award which will also celebrate the 25th anniversary of Thelma and Louise, the cult classic starring the performers. Thelma and Louise first screened at the 1991 edition of Cannes and was also nominated for six Academy Awards, with writer Callie Khouri taking the statue home for ‘Best Screenplay Written Directly for the Screen.’ Last year, the ‘Women in Motion’ awards were given to actress and philanthropist Jane Fonda and to independent producer, Megan Ellison. Besides being renowned actresses, both Davis and Sarandon are known for their social advocacy. Davis has made waves by founding the Geena Davis Institute on Media, which conducts large-scale research to expose the gender imbalance in the film world, both on and off screen. Sarandon is also an activist in her own right, for years she has been an outspoken defender of various organizations world-wide that help protect human rights. As winners of this years main ‘Women in Motion’ award, the leading ladies have chosen the winners of the ‘Women in Motion’ award for young talent. Their picks will be revealed as the festival progresses. Other women featured in ‘Women in Motion’ talks during this year’s Cannes Film Festival include actresses Chloe Sevigny, and Salma Hayek as well as executive director of the Sundance Institute, Keri Putnam, with producer Celine Rattray and UTA agent Rena Ronson. See the trailer for Money Monster below.